When cruising, whether across the ocean, skimming the coastline or bobbing upriver, shore visits stand out as a distinct highlight. 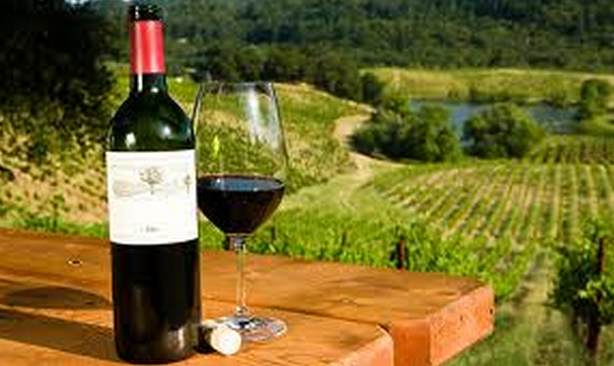 For wine lovers, a shore visit is most exciting when coupled with the promise of fine wines and vineyard tours. If that sounds like your ideal holiday then consider a cruise to any of these unique wine destinations. While a French river cruise to Bordeaux or Champagne might be the first destination that comes to mind, or a trip up the Yarra may seem like an obvious choice, here are some of our top picks for wine regions that really offer something different. Experience the best of Portugal’s reds, whites, rosés and port with a river cruise to the picturesque quintas (wine producing estates) of Duoro. Surrounded by stunning riverside scenery and cascading vine-draped slopes of the Duoro valley, visitors can take in the Portuguese landscape from the luxury of a river cruise boat, enjoying classic Portuguese dishes and their perfect local fermented accompaniments. Visit centuries-old wineries, take one of many available tours through the history and process of wine making in the region, and sample many of the best locally produced wines. If you really want the authentic experience, you can even cruise upriver on a rabelo, a traditional Portuguese wooden boat. Wine lovers will be well acquainted with the names Napa and Sonoma. Just upriver of the bustling San Fran lies the world-renowned Napa Valley and its sister region Sonoma. With over 400 wineries, visitors will never run out of wines to taste or unique cuisine to whet their palettes with. If all the wine tasting goes to the head, guests can take a break from tour-hopping and taste testing to relax at one of the regions’ many luxury spas or work the wine off over a round of golf before dinner. If you really want to see a new angle on the local vineyards, you can arrange a hot air balloon tour of the area. The seaside town of Katakolon in Greece is an all-encompassing treat for the senses. It is rich in history, transporting visitors back in time to the days of ancient emperors and long lost Greek gods. Explore Olympia, the site of the first Olympics, and the ruins of ancient temples and fallen once-grandiose ancient architecture. Once you’ve had your fill of history you can explore the lush agricultural valleys of the Western Peloponnese region, where seasonal fruit colours the hills, olive trees shade the grassy knolls and, naturally, vineyards sprawl across the landscape. Sit in the shade lapping up the Mediterranean sun, the sea breeze in your hair, as you savour wines from the areas classic vineyards. The port town of Napier on the North Island of New Zealand offers an escape for wine lovers of all tastes. From here, cruisers on shore visits can tour some of the most famous wineries in the country, known world-wide for their fine reds and beloved whites, in Hawke’s Bay. Napier is also home to the New Zealand Wine Centre, where guests can learn all about the art of wine making, the history of wine in New Zealand and the skill of wine appreciation. To round off the perfect wine holiday is Napier, feast on the fresh local seafood dishes upon which local food establishments pride themselves. There’s so much so see and explore in these picturesque wine regions. There’s really no end to the range of different wines just waiting to delight your palette, so if a cruise to some of the world’s most unique wine regions sounds like just the ticket, check out this site and start exploring luxury cruise holidays today. Where Are The Best Places to Stay On The Costa del Sol?